You will always be able to talk to the person assigned to your case and they will not bombard you with legal jargon. We want your dealings with us to be easy to understand, stress-free and value for money. 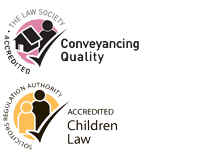 Our specialist lawyers can be found below.